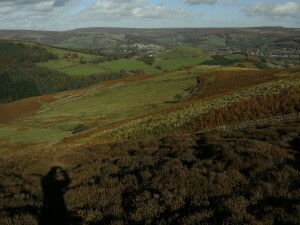 One of the delights of living in the Peak District is the abundance and variety of walks it affords. Nevertheless, to overcome my constitutional idleness and force me out of doors, persuasion is needed. So what constitutes persuasion? Generally, it’s the moral urge to ensure that Sam (my neighbour’s overweight terrier) is exercised, but Sam and I usually only walk a couple of miles around the fields and the wood and the lake. This weekend, unseasonably warm and sunny weather encouraged me to travel further, so I ladled Sam into the car and set off. But, I pondered, to where? I’m currently developing a crucial scene for my work-in-progress (which threatens to become a novel of around 120,000 words), and my preoccupation with said scene decided my destination. 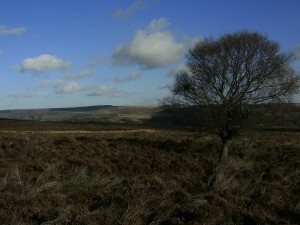 I drove for half an hour or so to the edge of Eyam Moor and then the dog and I set off towards the Wet Withens. 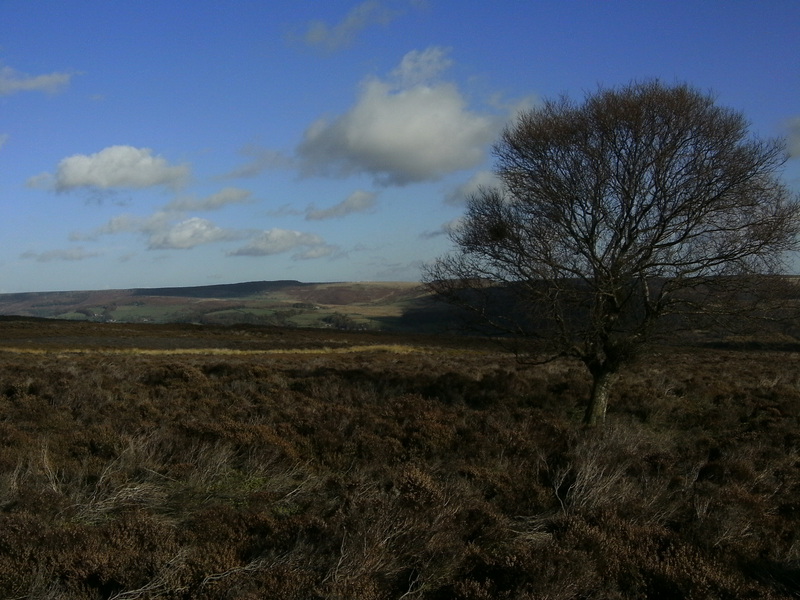 The Wet Withens is a stone-age long barrow, now barely discernible because of erosion, and will be the setting for a later scene in the story – but I thought I’d revisit it while I was on the moor. 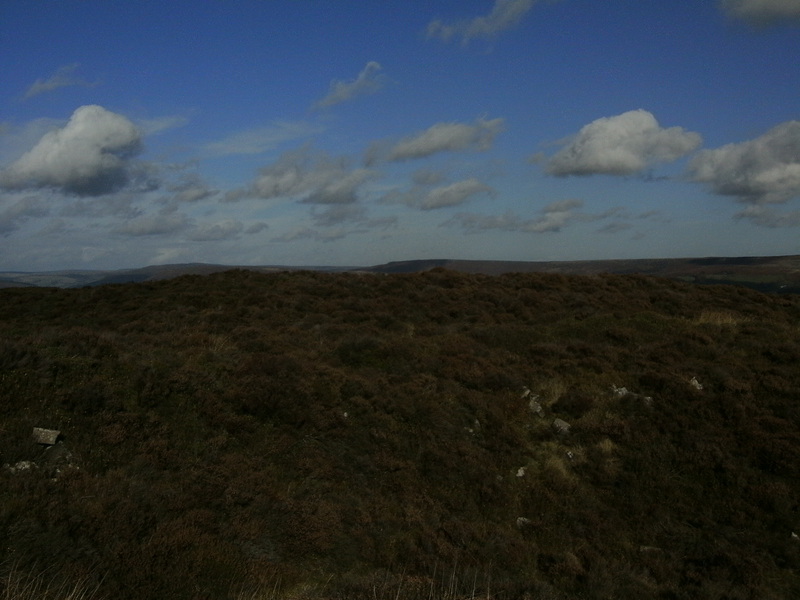 It’s quite a tough walk to the Wet Withens, through knee-high heather and tumbled rocks among which deep pools of stagnant water lie hidden, but both Sam and I needed the exercise. 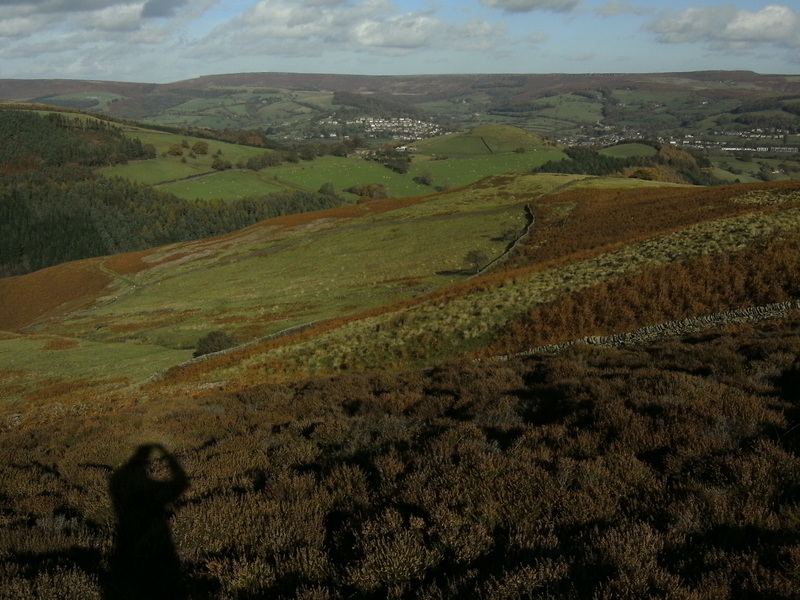 I had to keep looking for him; he was only intermittently visible as he leapt over one tuft of heather after another. I took one or two photographs and then we made our way up the hill to a rough path that zigzags down the hillside to the Bretton Valley. This was the view I wanted to recapture. My novel’s female protagonist, Madeline, has just come to stay at the male protagonist’s ancestral abode, Abney Hall, and although the place is fictitious I know exactly where it is. 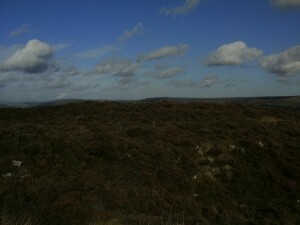 From here, on the edge of Eyam Moor, I had a more-or-less bird’s eye view of the location and its surroundings. I took a few more photos to serve as visual cues for the next bit of the manuscript, but maybe I won’t need them; the memory of the real-life scene will segue easily into the creation of the fictional one. Sam wasn’t interested in the view – or even in the shadow of me holding a camera. There were rabbits and squirrels to chase. He didn’t catch any, but he enjoyed the pursuit, and I suppose the outing took a few millimetres off his waistline. And mine. And now, having posted a blog, I shall get back to writing!